The Chicago members of The PEER 150 are honored to host an evening of networking and content at JLL Headquarters. Attendance is open to senior human resources executives approved by our PEER 150 team. We look forward to seeing you on Thursday, June 7th! 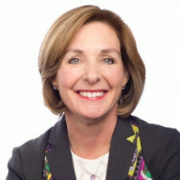 Mary Bilbrey, CHRO at Jones Lang LaSalle (JLL), will speak to how JLL has moved the needle in the D&I space and the math behind it. Given the recent HR transformation JLL is going through, Mary will also share the lessons learned, successes and some pitfalls that occurred while launching a new system and operating model. Mary is the CHRO for JLL Americas, the leading integrated global real estate services and investment management firm. Mary has 30 years of U.S. and global human resources experience. Mary joined JLL in February of 2016. She joined JLL from HSBC, the multinational banking and financial services company, where she was the Head of Human Resources for HSBC USA. She previously held several leadership roles in HSBC’s London headquarters. She headed HR for human resources for the Global Banking and Markets business and its Global Private Bank. Additionally, as leader of the HR transformational and design team, she designed the global HR operating model that was deployed in over 20 countries. She also held several roles that focused on compensation, benefits, and mergers and acquisitions in the United States. Mary has a Masters Degree, Industrial Relations, from Loyola University and a Bachelors Degree of Business Administration, from IL State University. She is also a Steering Committee Member of the HR Leadership Summit.